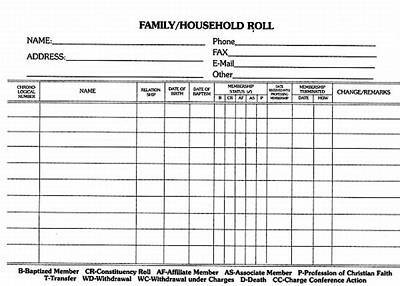 This 5” x 7” Family Household Roll Card (also available in 11 x 8-1/2 sheets) may be used instead of the separate rolls to fulfill the requirement for Affiliate/Associate Membership and Constituency Rolls. This is an optional tool to help membership care groups identify families and households within the congregation, and it is useful to those churches that are interested in noting additional information about their members. 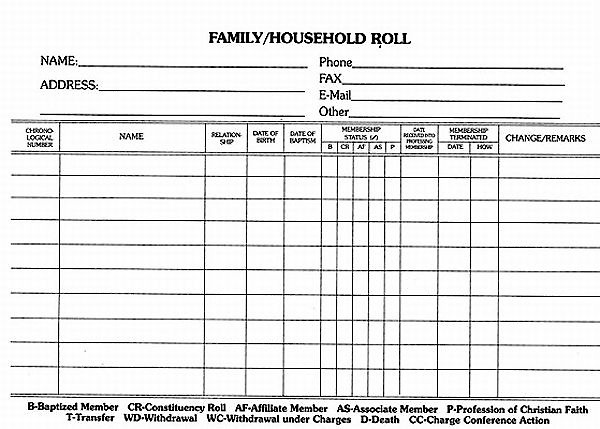 The Family Household Roll Sheets (in packages of 50) are also available.